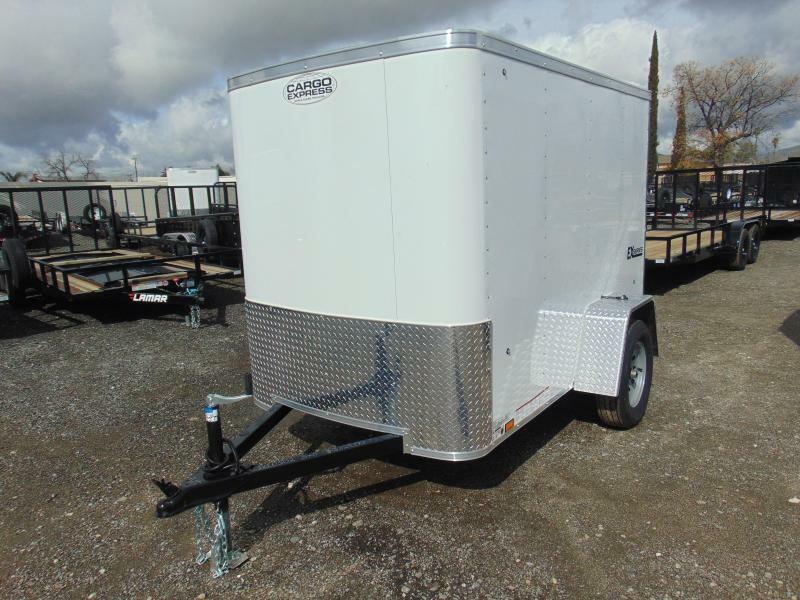 The Cargo Express EX Series offers a wide range of cargo trailer sizes and cargo trailer dimensions, making this one of our most versatile economy lineups. 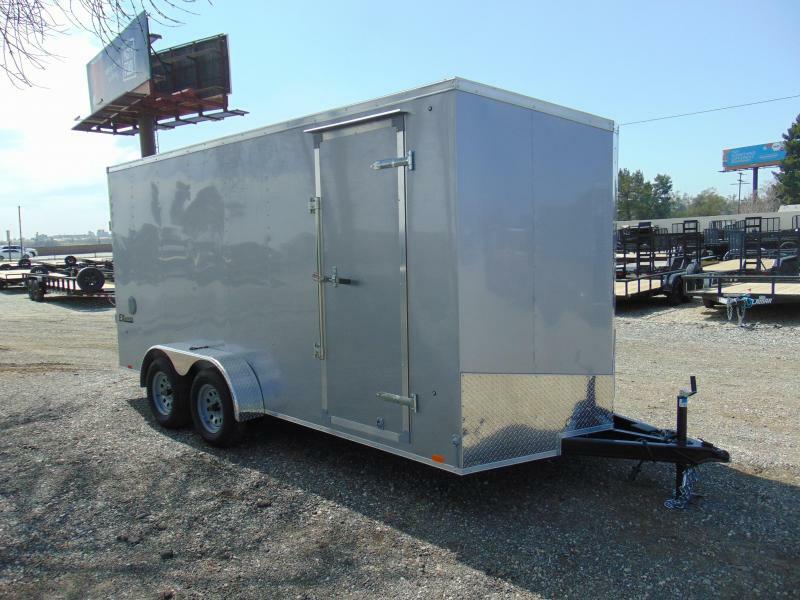 Available in 4', 5', 6' and 7' wide models, this light-duty trailer fits the bill for most hauling jobs. 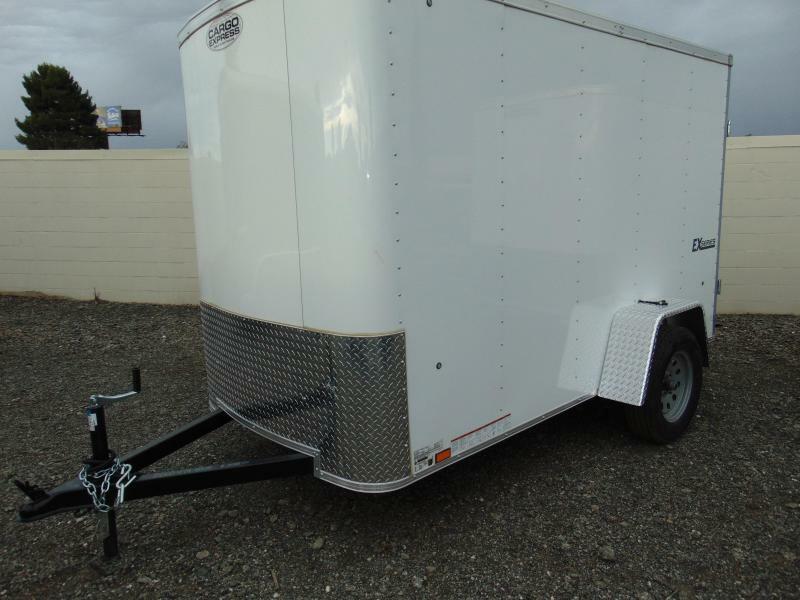 Featuring a payload capacity just a little over 2,000 lbs. 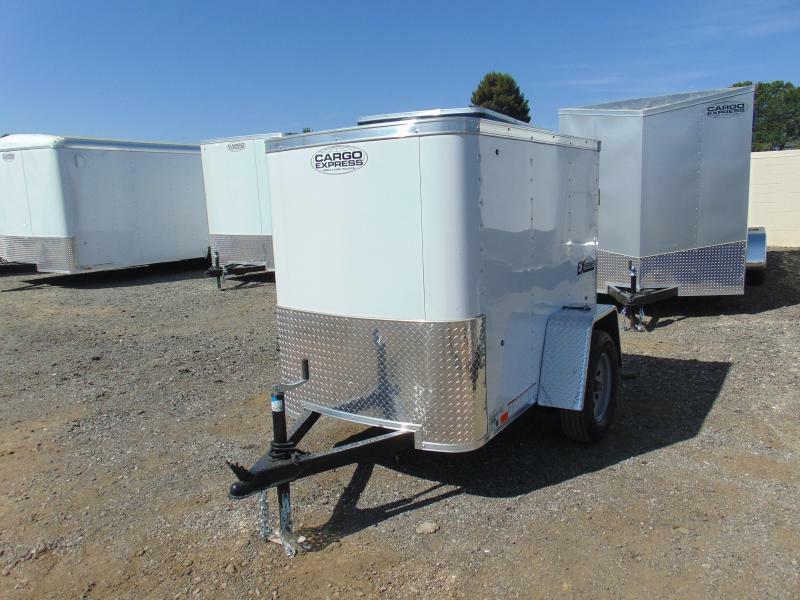 on spring axles, these nimble EX models are great for work or play. 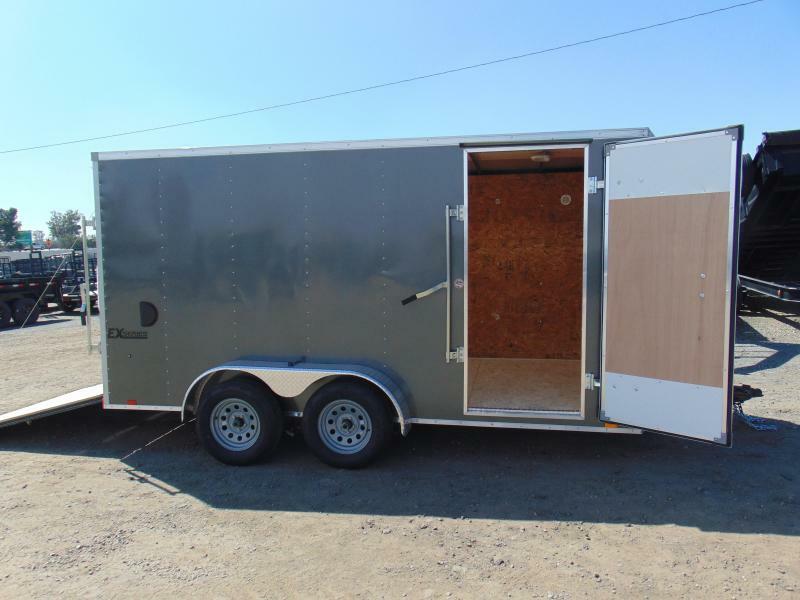 Featuring a standard single rear door, hauling enthusiasts can upgrade to the 5' Sport Package, which includes a lightweight ramp door upgrade. 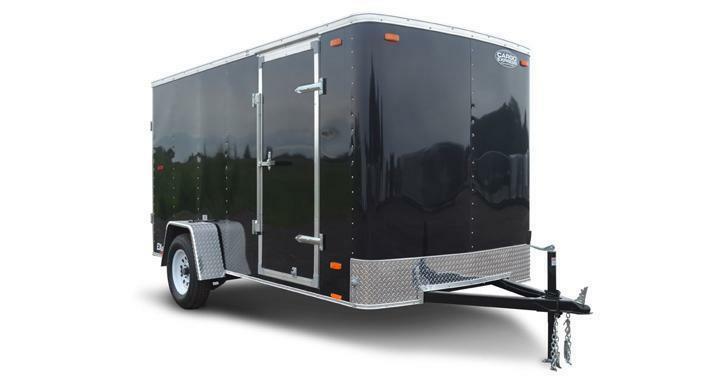 An optional 18" front wedge creates an aerodynamic design. 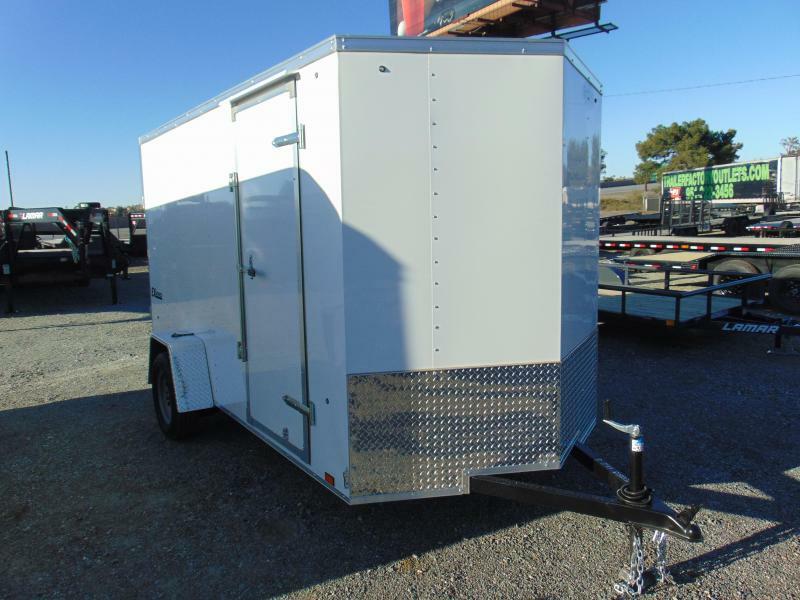 Bump up to a 6' wide trailer for more space. 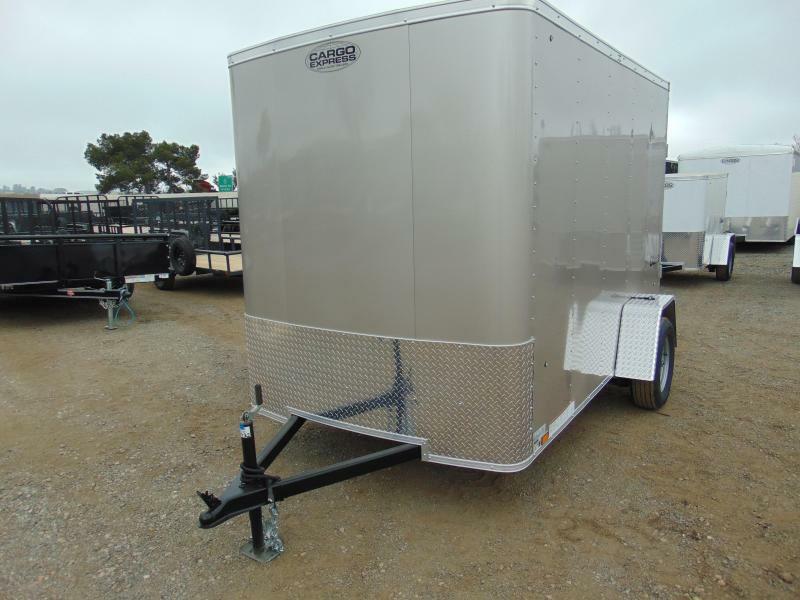 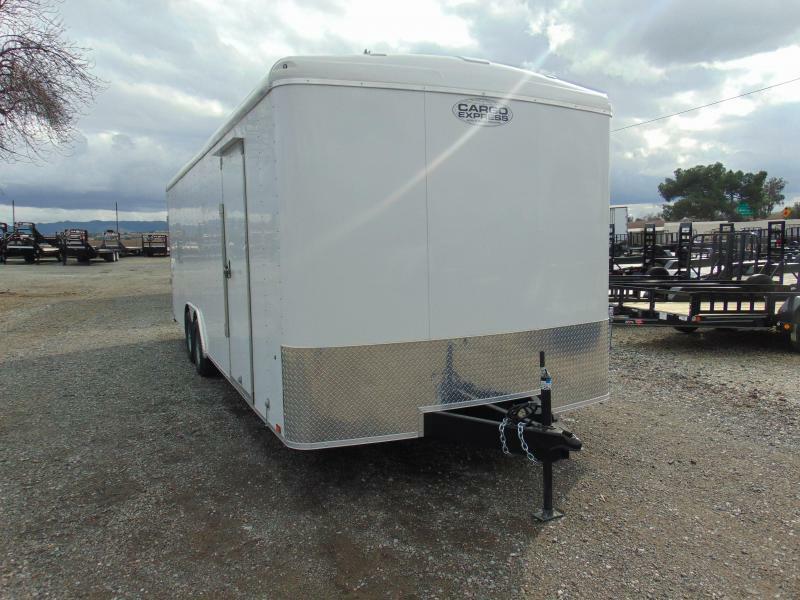 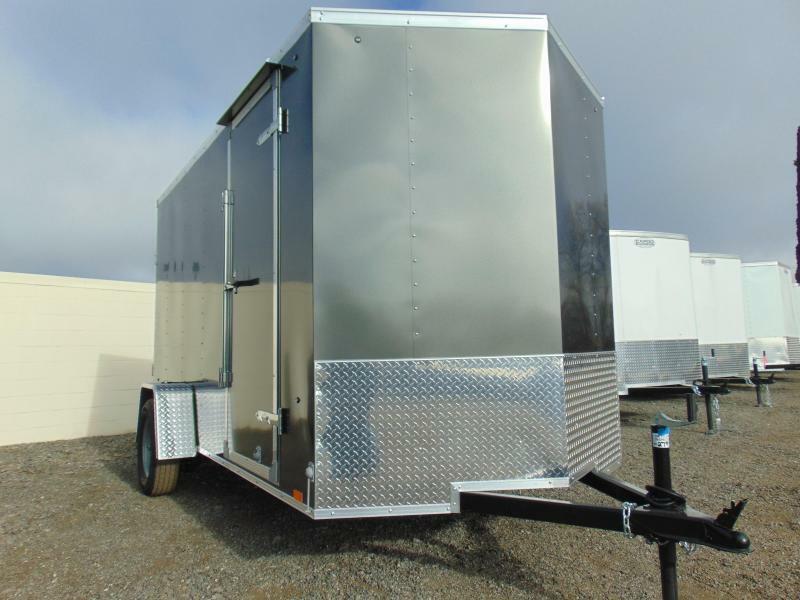 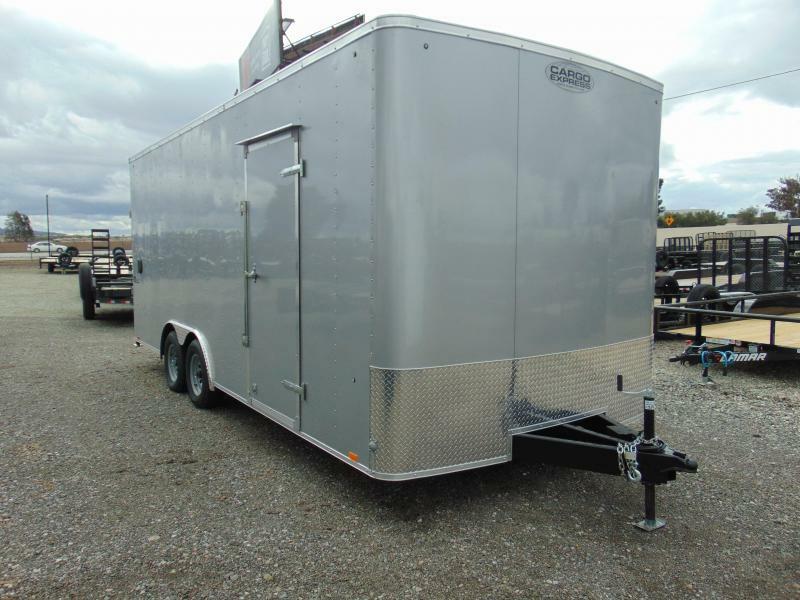 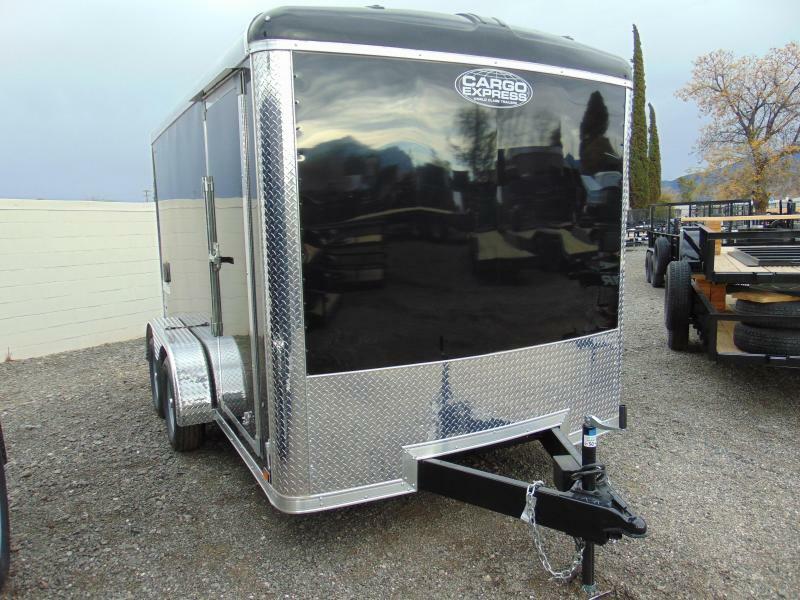 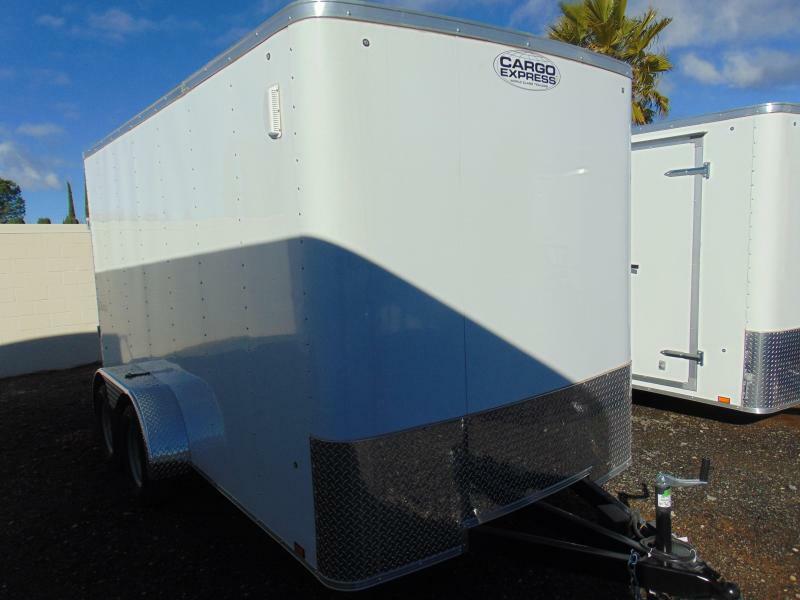 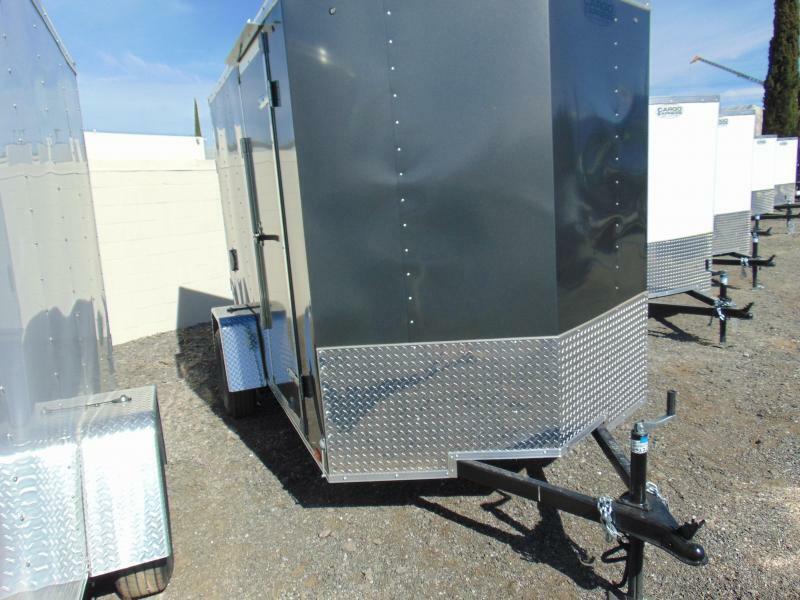 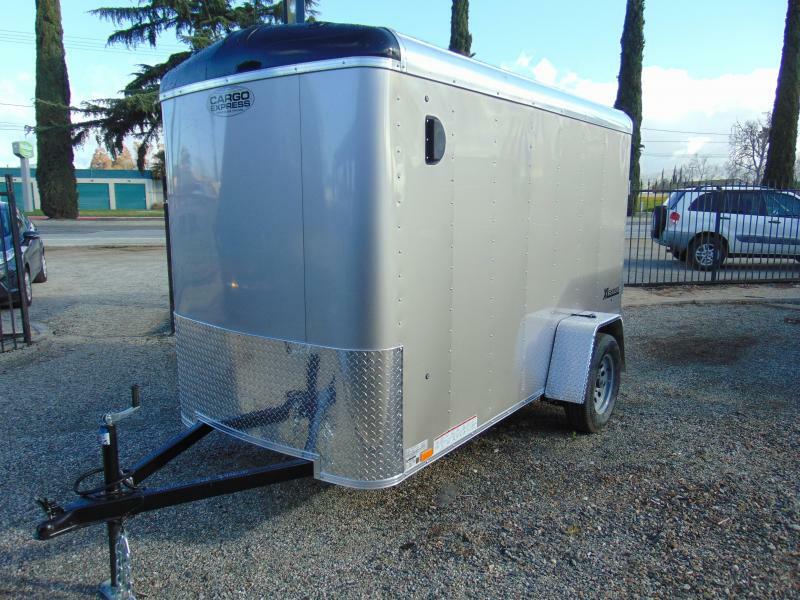 The EX's 6 x 10 and 6 x 12 cargo trailers feature a 32" entry door with cam bar, plus double-rear doors. 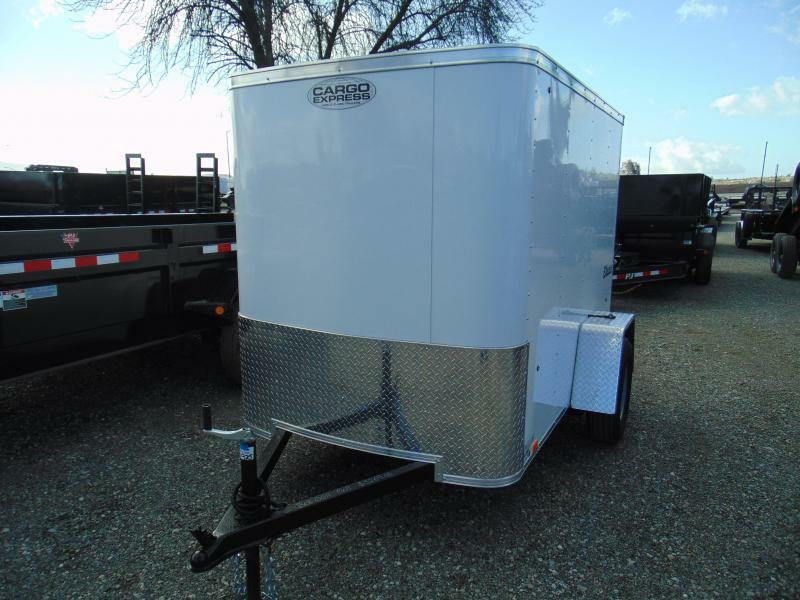 Upgrade to the lightweight ramp door option and the 12" ramp extension for even more added cargo trailer value.